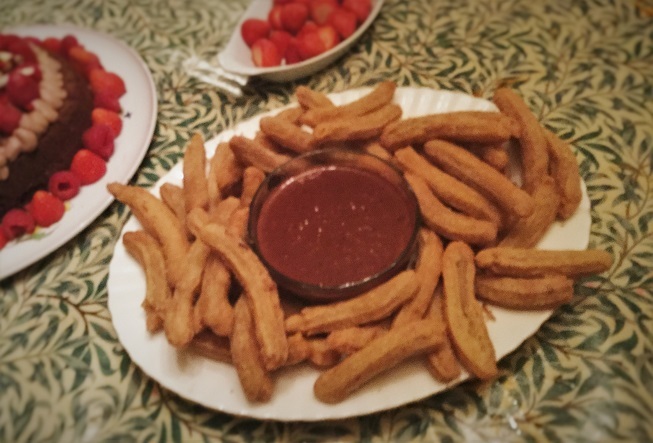 This Mexican themed buffet was for a hen party back in August staying in this Magical Listed Townhouse in Bristol (it was magaical too.... and covered in Mexican theme party decorations). 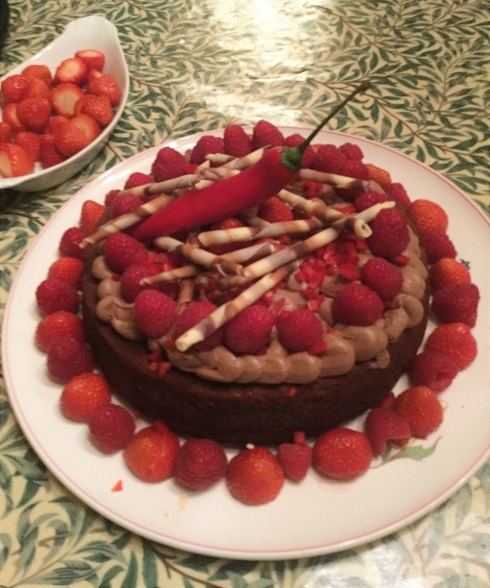 The organiser of that party had been a guest at another hen party themed menu we had catered for the previous year, and the organiser of that party had in turn been the guest at another party we had done the year before that - it's great when they all recommend us! 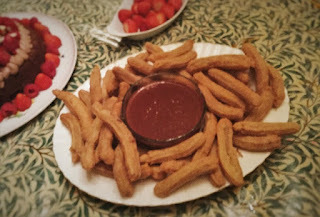 Churros with chocolate sauce - what could be better? As always, in all the flurry of cooking lots of different Mexican dishes there's an absence of starter and main course photos. Chilli chocolate torte - suprisingly more popular that the churros that night.